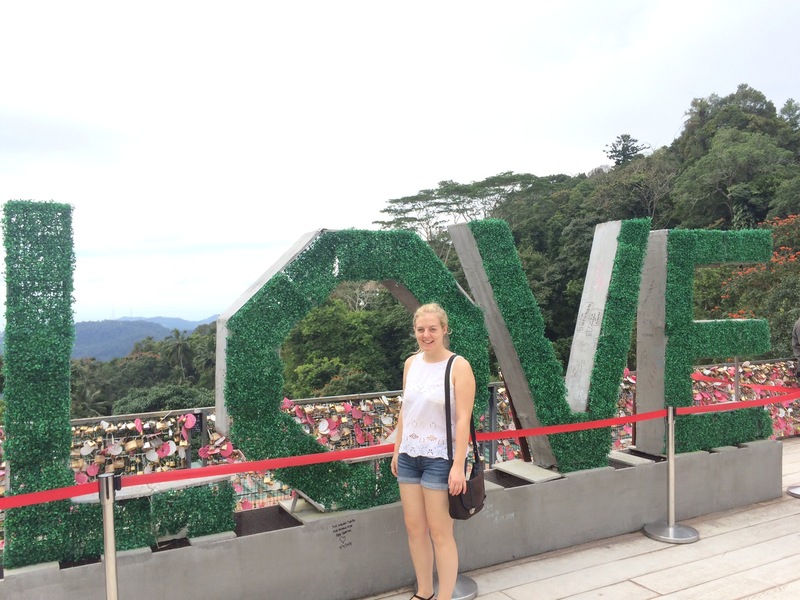 My Malaysian adventure has come to an end. Sad face. But hey, the Christmas countdown starts now! Though I hear I’ve missed the first screening of ‘Love Actually’ this season. Double sad face! For the final leg of our trip we spent six days in gorgeous Langkawi, an island comprising of 99 separate islands, most of which are completely uninhabited. 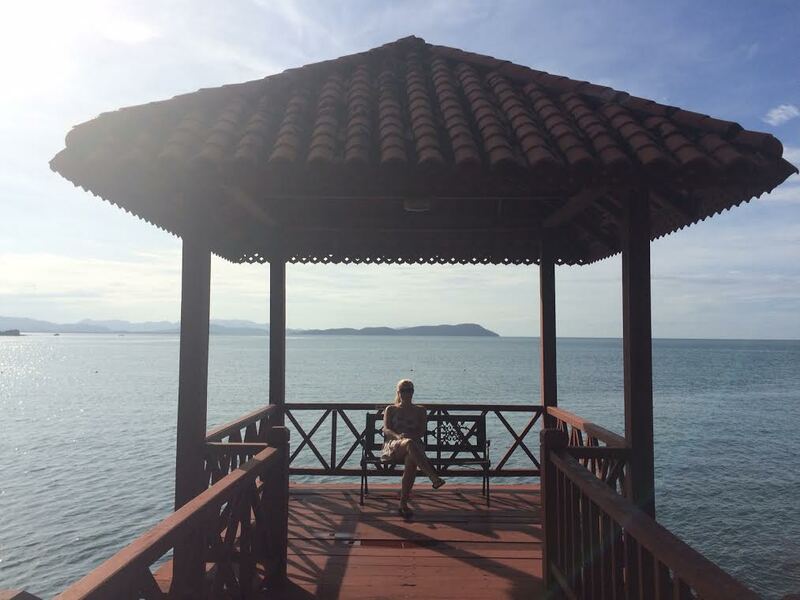 As much as I like exploring new places and trying new activities, I think that arguably the most important part of going away is to make time for yourself to chill out and get some valuable space from normal life where you can fully relax and do as much or little as you want to. 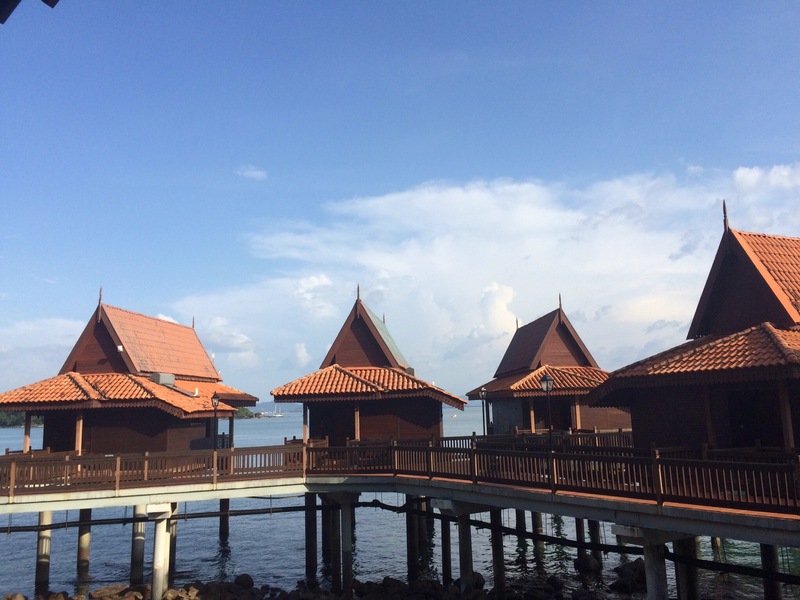 We stayed at the Berjaya Langkawi Resort, which boasted hundreds of impressive chalets, some of which were on stilts over the azure Andaman Sea. By some miracle we got upgraded so were treated to some incredible views! 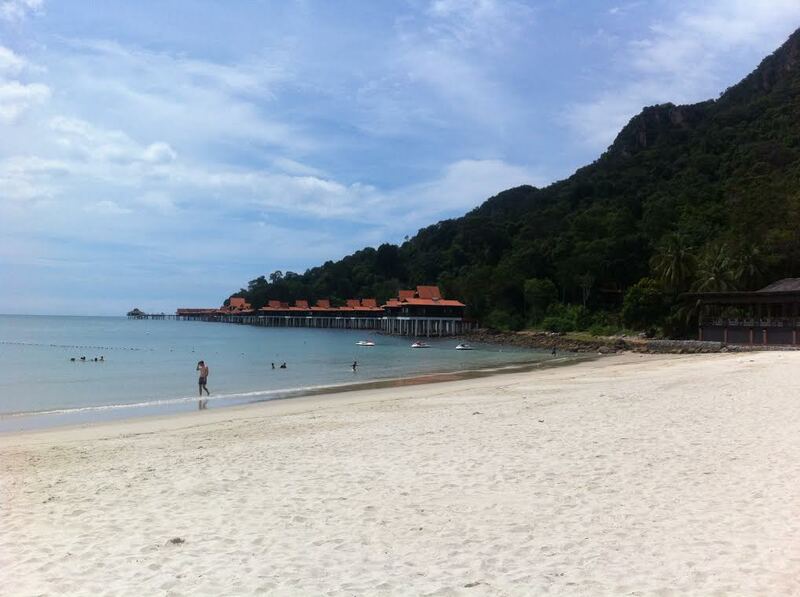 Langkawi was definitely the most naturally picturesque place we stayed. 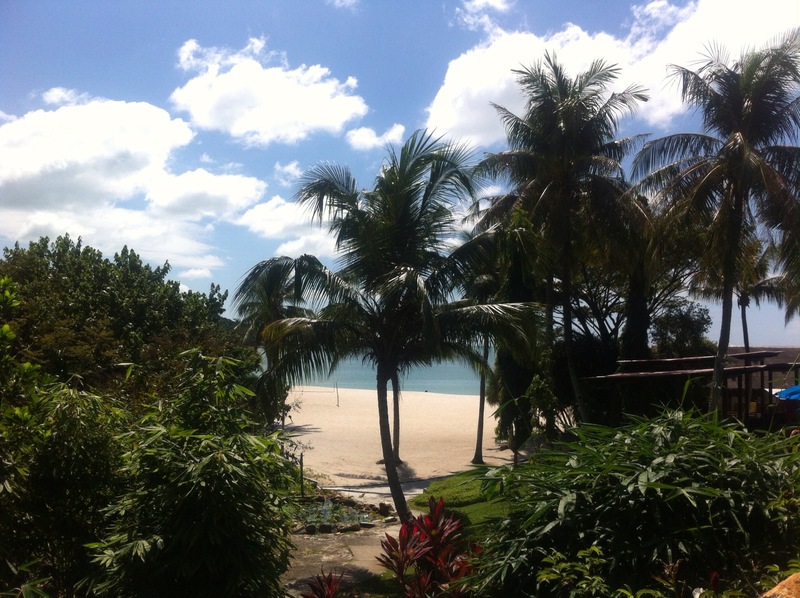 It’s known as the ‘Green Island’ as it’s largely rainforest and the beaches are a pure, sandy white. 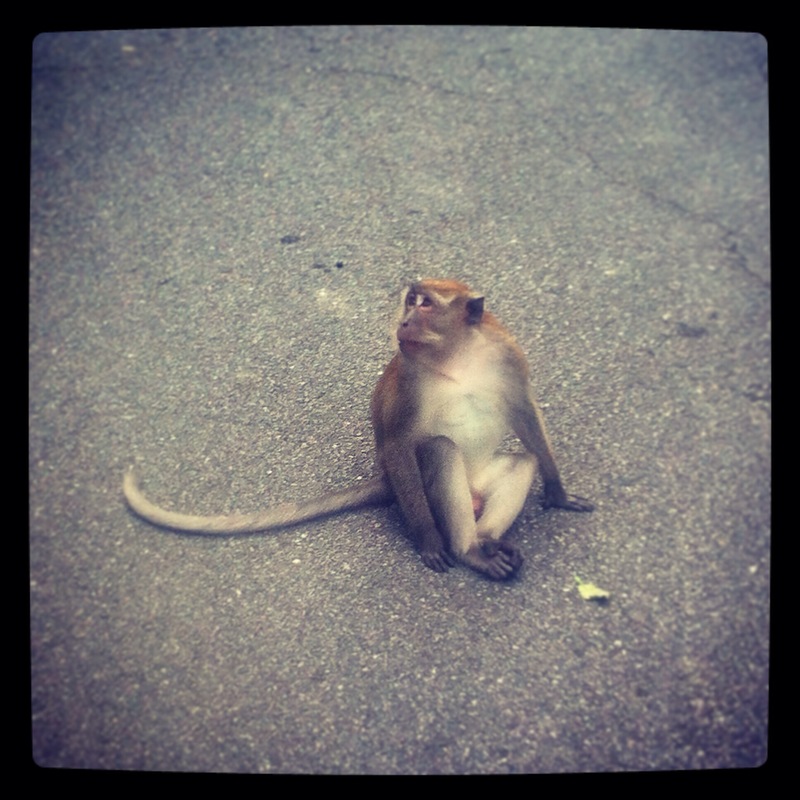 Our hotel was nestled right in between both so we saw some of the natural wildlife – from the friendly long-tailed macaques and capuchin monkeys, to tropical hornbills. 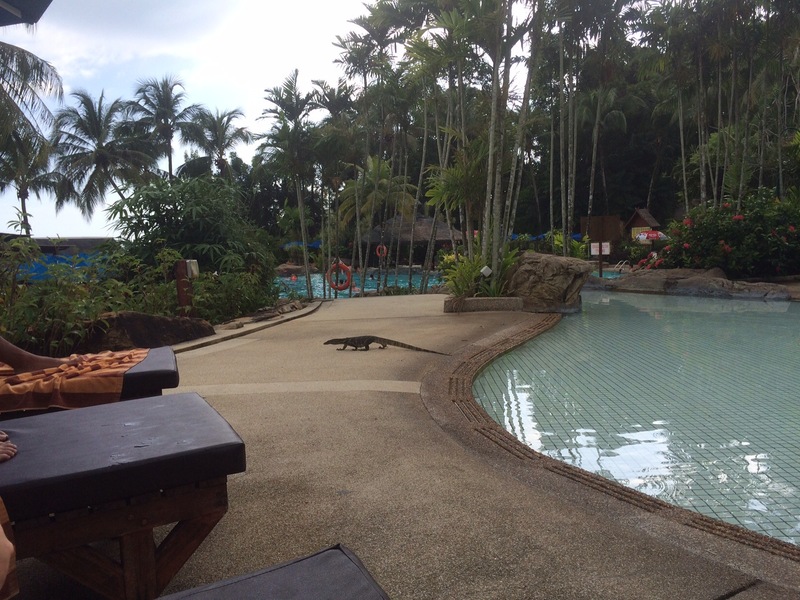 We even saw an enormous yellow bellied lizard swim through the pool one day! Potentially hazardous but a great photo op nonetheless. I attended two group yoga classes, one of which turned into a private session as nobody else joined us! It was great to have so much help from the instructor and she helped me perfect some poses I struggle with. It was sweaty business practising in the Langkawi heat, but the view over the sea and the occasional rustle of monkeys playing in the trees nearby made it quite special. 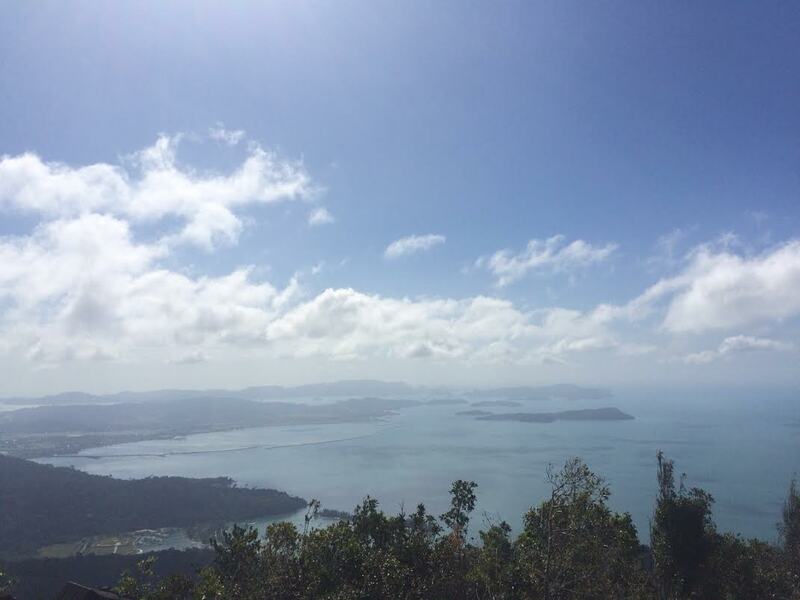 Though heavily dented by tourism – the island is overrun with hotels and looks set to build many more – Langkawi remains fairly unspoilt in most areas. The Telaga Tujuh waterfall was stunning and swimming in the freshwater pools was so refreshing. 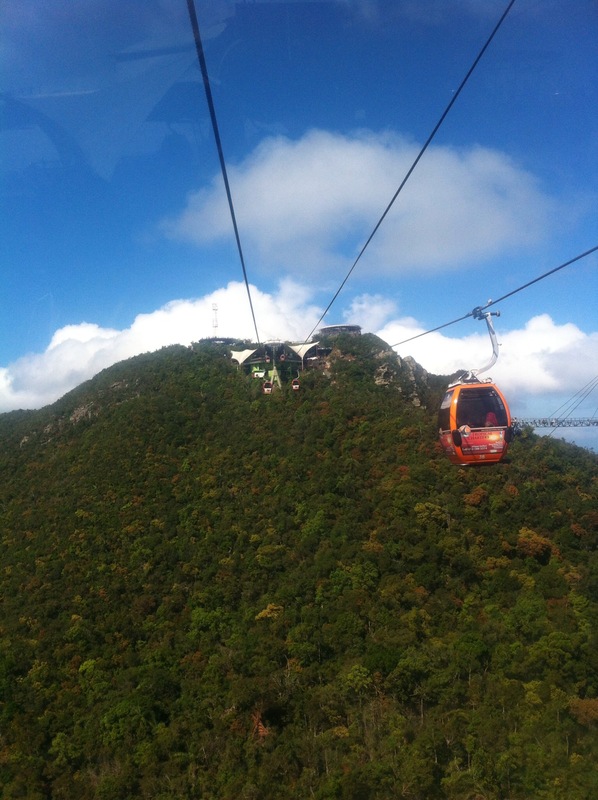 It had an even better view from the Langkawi Cable Car (yes, a viewing platform again! This one was actually slightly scary in the speed at which such a small car travelled up a gigantic mountain). Well, now I’m back in FREEZING London and failing miserably at beating jet-lag before a hectic return to work. If you’ve enjoyed these blogs (or at least not been irritated by them) then thanks for reading! As much as I love going away, it’s always a relief to get home and back into a familiar routine so it’ll be adios to the travel blogs for now. See you on the flipside!